Karol Jozef Wojtyla, known as John Paul II since his October 1978 election to the papacy, was born in the Polish town of Wadowice, a small city 50 kilometers from Krakow, on May 18, 1920. Throughout his early twenties, and during World War II, he had to work in a Nazi-run rock quarry to earn a living and to avoid being deported to Germany. In 1942, aware of his call to the priesthood, he began courses in the clandestine seminary of Krakow, run by Cardinal Adam Stefan Sapieha, archbishop of Krakow, and was ordained to the priesthood by Archbishop Sapieha in Krakow on November 1, 1946. He carried out his priesthood under the constant watchful eye of Poland's communist regime. The Cardinals elected him Pope at the Conclave of October 1978, and he took the name of John Paul II. His election sent cheers through his native Poland since he was the first Slav ever to take the seat of St. Peter. His pontificate, one of the longest in the history of the Church, lasted nearly 27 years. During that time he would change the image of the papacy forever, with a mass appeal never before seen in the history of the Church. 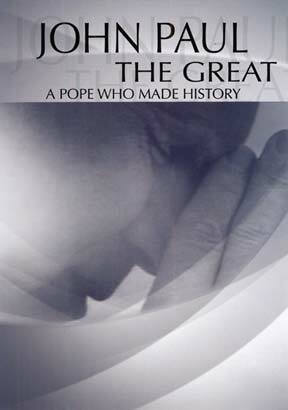 John Paul The Great takes you through the extraordinary life of one of the 21st century's greatest men.